Located near the intersection of Lorna Rd and Municipal Dr just off I-459, Extra Space Storage serves Birmingham residents near Hoover. Locals will recognize our facility a few minutes east of Hoover Public Library and a few minutes west of AMC Classic Lorna Ridge 10 and Lorna Village Shopping Center. and more! We can accommodate both residential and commercials needs in Hoover, Birmingham! Our Birmingham storage facility has units ranging from 3x4 storage lockers to large 10x45 units. Every unit at this location comes with climate control. We also have units with first-floor access and elevator access. With security measures like an on-site resident manager, 24-hour video surveillance, security access to your floor only, and electronic gate access, you can be sure your items are safe at Extra Space Storage. 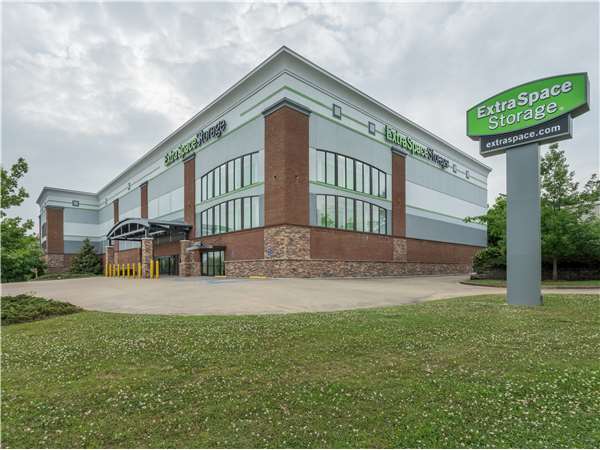 Extra Space Storage offers climate-controlled storage units that stay between 55 and 80° year-round, protecting your sensitive belongings from Birmingham's extreme heat and humidity. Extra Space Storage is the self storage partner you can count on. Not only do we offer high-quality storage at a clean, secure facility, but our friendly, professional staff is committed to providing a great experience for our customers. Contact us today to reserve a storage unit in Birmingham! The facility was immaculate & very spacious. The facility is well secured & you have to have a code to get in at all times. Went by the office and the attendant was sound asleep. Never acknowledged the door opening. Very unprofessional and disappointing. Great people. Also clean place. Honest people. Christy was awesome. The storage space I needed wasn’t available at the time but she followed up with me until it was. Great customer service and very sweet person. I would definitely recommend this place to anyone in need of storage. Thank you Christy! You Rock!! I worked with Christy at the Lorna Rd. location when searching for a storage. She was friendly, honest, and available. I would recommend this location because it's clean and feels safe. Easy access as well. My experience with Extra Space storage was awesome. Megan was extremely professional and friendly. The process was short and simple. I had professional help all the way it was quite easy and efficient. The service reps professional and friendly and probided me with useful information to make our move easy. I was seeking a clean and safe facility that was close to the freeway, this facility met all those needs. Could have more hand-trucks on each side of storage facility but overall the experience was good. I leased from Kristie and she was very nice, knowledgeable, helpful, and friendly. Great location, facility, and staff. I recommend this to anyone needing storage. If someone I know is looking for a clean storage space I would recommend Extra Space Storage. If you're looking for a storage facility that is immaculate and is managed by a team who takes great pride in providing outstanding customer service I highly recommend ExtraSpace Storage. nice facility--very clean and climate-controlled. Staff was very professional. Be aware that you will be required to buy insurance from them at a monthly fee and will be charged an administrative fee--which we were not aware of until the day we arrived with our things. You need to take all that into account when deciding whether the cost is comparable to other options. Also, the day we were there to unload, an 18 wheeler full of furniture was pulled up directly in front of the entrance closest to our unit and acted like they owned the place. We had to work around them-a bit inconvenient. I will tell my co workers and friends about the great experience I had at extra space storage. If they should ever need to store anything they should try you. Move in experience was easy. The person helping me was very helpful. The facility is centrally located, well lit and secure. Safe, secure, and customer-focused. The process was relatively easy. Marcin helped make it easy. Thanks! The employees really care about providng an easy experience for the individual. I recommend Extra Space Storage for your storage needs. They are very professional, friendly and always willing to help and answer questions. I've been doing business with them for over two years and I'm very happy I made that decision! The moment I walked in I was greeted and felt welcome. All questions was answered and I did not feel rushed even though I came in close to closing. The security is too notch. The staff is wonderful, very polite, patient & respectful. Scotty is such a joy to work with. We would never think of renting somewhere else. Always clean & smells good. After making a reservation I was called almost immediately by the local location who explained what was available and was able to upgrade and give me a better price I appreciated this very much. This is my first time using self storage but the process has been easy and the staff has been nothing but helpful! So far the experience has been nothing but positive! My experience was Awesome! very professional and Very Clean! Scotty and his crew were very helpful and great customer services. Storage were very clean, good security and convenience. I found the staff professional and friend, especially Dawn, who was so helpful before and during my move in. I don't like the low ceiling with the chicken wire and I am very unhappy to find green extra space storage logo tape wrapped around my personal locks without my permission because, I was not told it was for security. I have never had an issue someone taking my locks off my storage and replacing with different ones. When I notice this, I thought they were replaced and I was alarmed and thought I was not my unit. Dawn at Extra Space Storage in Birmingham, AL was very helpful when I first went to visit the facility. It was a busy Saturday morning, but she handled it like a pro. I really appreciated her great customer service. I also spoke to Scotty before I went and he was very helpful as well. I have been very pleased with Extra Space Storage. Drive south on I-65. Use exit 250 to merge onto I459 S. Take exit 13B to merge onto US-31 toward Hoover. Turn right onto Municipal Dr. Turn left onto Lorna Rd. Our facility will be on your left. Drive north on I-65. Take exit 250 and keep left at the fork to merge onto I459 S. Take exit 13B to merge onto US-31 toward Hoover. Turn right onto Municipal Dr. Turn left onto Lorna Rd. Our facility will be on your left. Drive southwest on I-459 S. Take exit 13B to merge onto US-31 toward Hoover. Turn right onto Municipal Dr. Turn left onto Lorna Rd. Our facility will be on your left. Drive on I-459 N until you pass Patton Creek Shopping Center and Costco Wholesale. Take exit 13 and turn left onto US-31 N. Turn right onto Municipal Dr. Turn left onto Lorna Rd. Our facility will be on your left.